Takeshi Kusao (草尾 毅, born November 20, 1965) is a seiyū born in Tokorozawa, Saitama prefecture. He is known for voicing Sonic the Hedgehog in all of the early arcade games. Other notable voice-over roles include Eiji Shijo in the Battle Arena Toshinden series, Ky Kiske in the Guilty Gear series, the red-headed swordsman Adol Christin in the Ys OVAs, Kai in Akira, Trunks in Dragon Ball Z, Parn in the Record of Lodoss War OVAs, Cless Alvain in Tales of Phantasia: The Animation, and Ryo Sanada in Ronin Warriors. 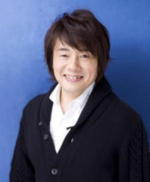 His wife is a fellow voice actress Yuka Saitō. This page was last edited on 23 July 2018, at 14:05.